Photo details: Andrea, my Bride, really knew how to dance and was spinning all around the dance floor at her wedding. 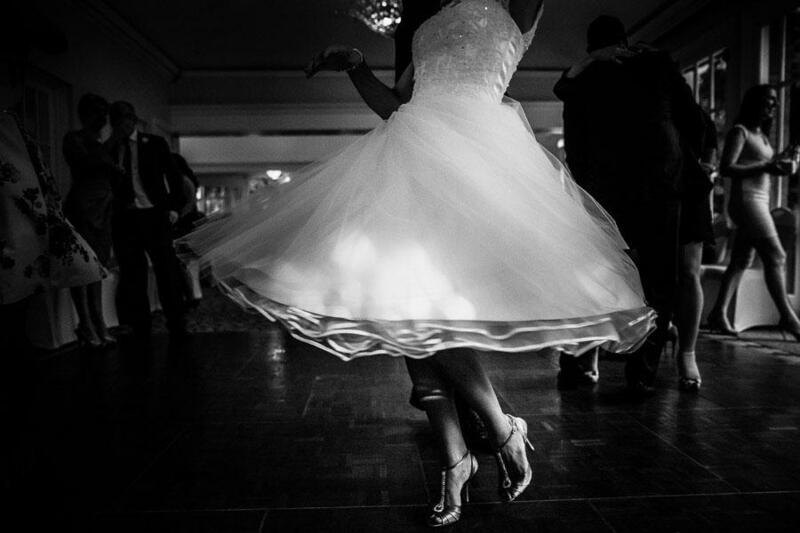 I wanted to get the feel of the movement and the fullness of her lovely wedding dress, so after shooting the obvious pics, I got down lower and watched her spin. It took a lot of frames to get one that for me is just perfect. There was no need to include her face - the image is all about the dress and her fabulous legs and those lovely shoes. It needs nothing else. There's quite a lot of post processing to draw attention to the parts I want the eye to be drawn to. But I personally think any great image deserves great processing. About the photographer: I'm a Surrey & Hampshire wedding photographer shooting weddings all over the South. Will travel worldwide for the right clients.